Holbrook, Ariz., wasn’t the ideal place for Atsuo Sakurai to set up a sake brewery. The town of 5,000 is like a snapshot of a bygone era; kitschy diners, vintage motels and mostly mom-and-pop shops line the main drag. It has zero Japanese restaurants. Arizona is the “last place” Sakurai says he thought he’d live. 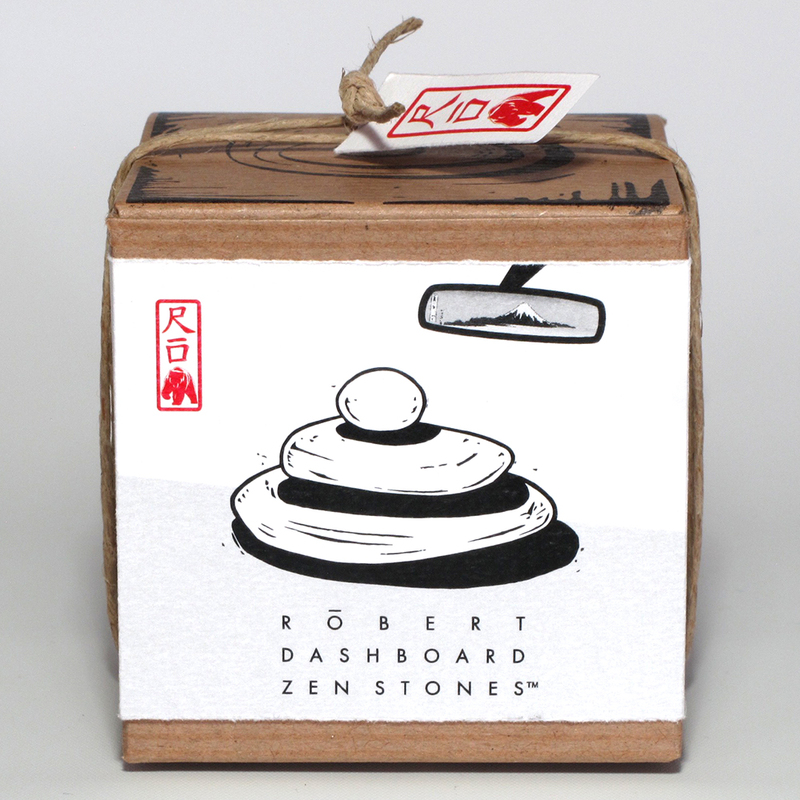 Smell[s] like apple and pear and melon. But four years ago, Sakurai came here from Japan with his wife, a Holbrook native, to be closer to her family. That’s when Sakurai established his company, Arizona Sake. His brewing space is tiny – about the size of an office cubicle – sealed off behind a door, in his two-car garage. “When I did a test batch, I figured out, ‘Oh, the Arizona condition is really good to make sake,'” says Sakurai. That’s because the dry air provides less chance for mold to form during fermentation, a common problem in Japan’s humid climate. Plus, the Holbrook tap water Sakurai uses comes from one of the best sources of groundwater in Arizona. “The sake tasted like clear and pure and fantastic,” says Sakurai. So good, he thought, Sakurai submitted a bottle to last year’s international Sake Competition in Tokyo. He won first place in the overseas category. Kenya Hashimoto was one of the judges. 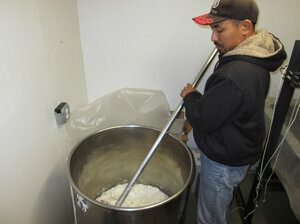 Atsuo Sakurai stirs a fresh batch of Arizona Sake at his home brewery. 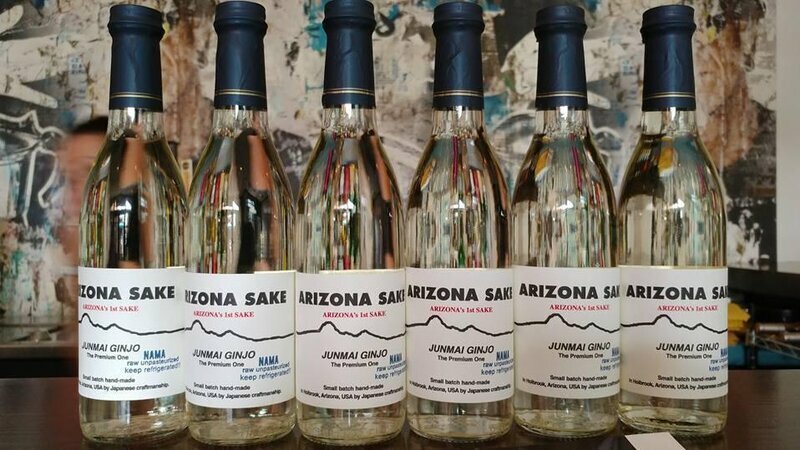 Sakurai says he hopes one day people in all 50 states will enjoy Arizona Sake. And, he insists it’s not all about making money. “My business is to get friendship, or you know, love or peace,” says Sakurai. Sakurai knows he’ll need to move out of his garage to grow, and he plans to do so. He just broke ground on a new commercial property a few blocks away. Next postMuseo de New Mexico Modern Art ~ Artist Luis Tapia ~ Santa Fe, N.M.